Last Thursday when we picked up Coraline from daycare, she came running at me with this paper in her hand. 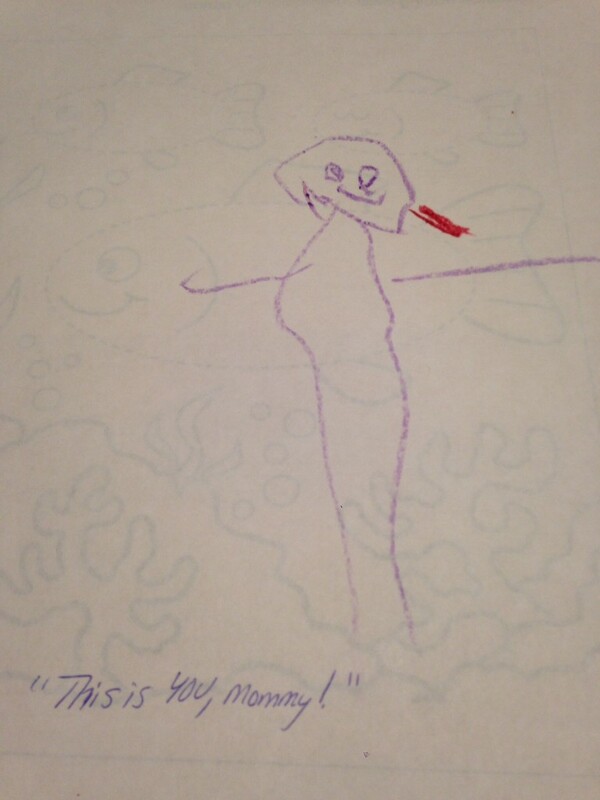 “This is YOU, Mommy!” she exclaimed. This is the first time she’s ever drawn a real person, and I’m flattered she drew me and in my favorite color, no less. Out of all her amazing artwork, this is now my new favorite. It’s also one of the best portraits of me I’ve ever seen.